Easy (and super delicious!) 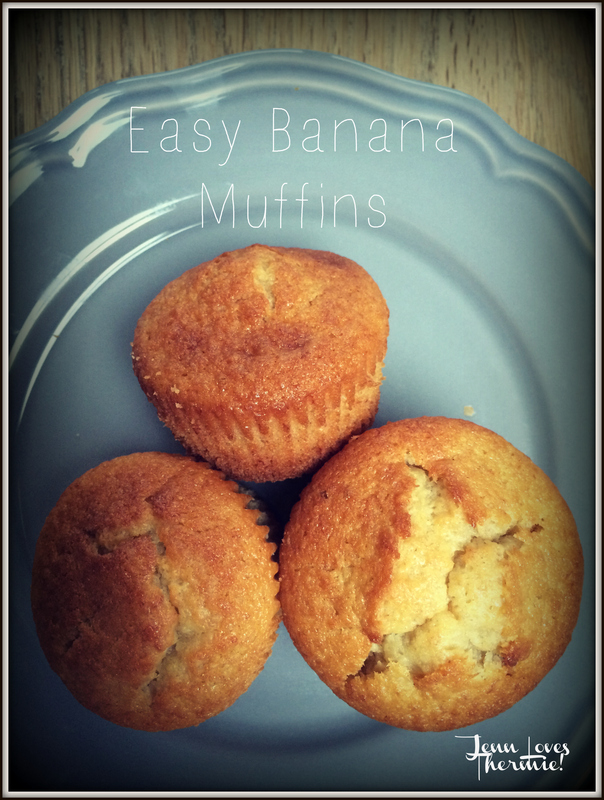 Banana Muffins – Jenn Loves Thermie! Bananas generally don’t last long in our house but if there happen to be few left in the fruit bowl and are starting to darken – this is my go-to recipe to use them up. This has been a winner with my boys (and neighbours) for a few years now and with it being so easy and quick to whip up, it’s made more often then I care to say! I may or may not have been known to make this even if the bananas aren’t very ripe – it’s still just as delicious!! Preheat oven to 170 degrees fan oven and line your muffin tray with cake cases. Add butter, sugar and vanilla to the TM bowl and melt for 5 mins/100 temp/Speed 1. Add the bananas to the TM bowl and mix for 6 secs/Speed 5. Whisk the egg in a separate bowl and then add the whisked egg to the TM bowl and mix for 3 secs/Speed 4. Spatula down the sides and then add the flour and milk to the TM bowl and mix for 15 Secs/Speed 3. Spatula down the sides and mix for a further 20 Secs/Speed 3. Ensure well mixed and if not, mix for a further 5 seconds. Pour the mixture into the muffin cases/tray and bake for 25/30 minutes, until a skewer comes out clean. Leave to cool and enjoy! These are also lovely as mini muffins – just reduce your cooking time! I will be trying these Jenn, they look amazing! I have made these numerous times. Easy, delish, and the whole family loves them. A winner when I have some overripe bananas hanging around.